Please come out and help us raise school supplies for children in Richmond, Henrico, Hanover, and Chesterfield. We are collecting schools supplies in our stores until Sept. 2nd. For a list of NEW supplies needed click here. At Car Pool Car Washes, we are committed to promoting and supporting the communities we serve. We proud to have partnered with NBC12 and Communities In Schools of Richmond (CIS) to keeps students in school and on track for graduation. Thank you for helping us help the community we’ve loved for over 40 years! 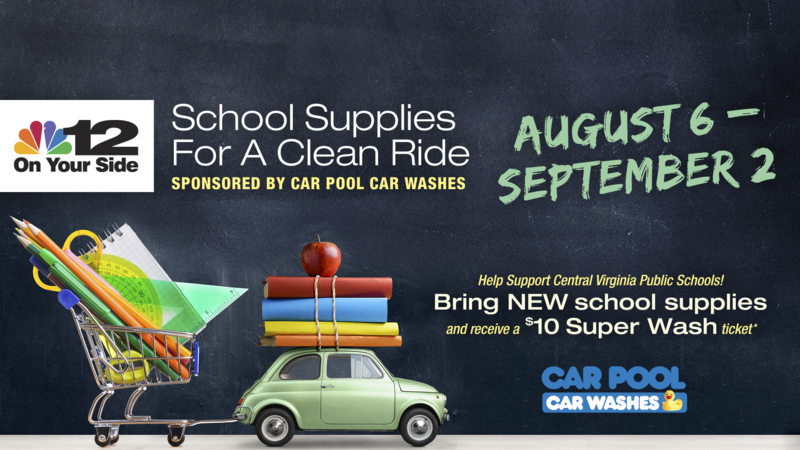 *School supplies not accepted at 2900 Chamberlayne Ave or Car Pool Detail (5512 W. Broad St.) Free wash ticket is valid for 90 days. Free wash ticket redemption cannot be combined with any other discount. No cash value. Offer expires 9/2/2018. Is your car spreading germs? We take pride in our cars, what if I told you you’re harboring germs in that seat next to you? Don’t let that squeaky-clean look of the car’s exterior deceive you. Hitching on for a ride in the interior can be all sorts of germs, bacteria, mold, viruses and dust mites. We bring a lot along for the ride by placing briefcases, purses, backpacks, and shopping bags on some pretty germy places such as public bathroom floors, shopping carts, and other less-than-desirable resting spots that go from there to the front seat of the car bringing along germs. Jill Holdsworth is an infection preventionist and is president of the DC Metro Chapter of the Association for Professionals in Infection Control and Epidemiology. She says the car can be a very big place to pass bacteria back and forth if you are not careful. “The No. 1 hot spots would be anywhere that you touch with your hands,” Holdsworth said. These areas include the steering wheel, radio, gear shift, cup holders and interior car seats. Wash your car regularly, inside and out by the professionals at Car Pool Car Washes. Try one of our Mini Detailing Services. If you have tough stains or water damage, that’s no problem for Car Pool Detail. You always leave clean and dry! We love to clean your car, inside and out! 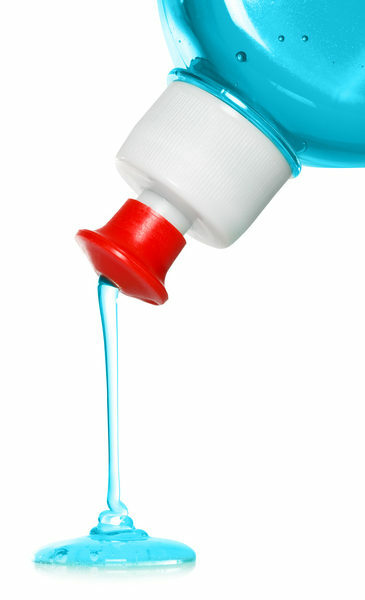 Did you know…Dishwashing detergent is a no-no? That’s great for dishes, but not so great for your car. Stripping everything includes stripping the polymers off the paint surface…the effect is similar to what dishwashing soap does to your hands. Too much will dry the skin. On the surface of a car, the same thing occurs; dishwashing soap actually accelerates the oxidation process when used regularly. At Car Pool Car Washes we pride ourselves on Guarding the Life of your Car! 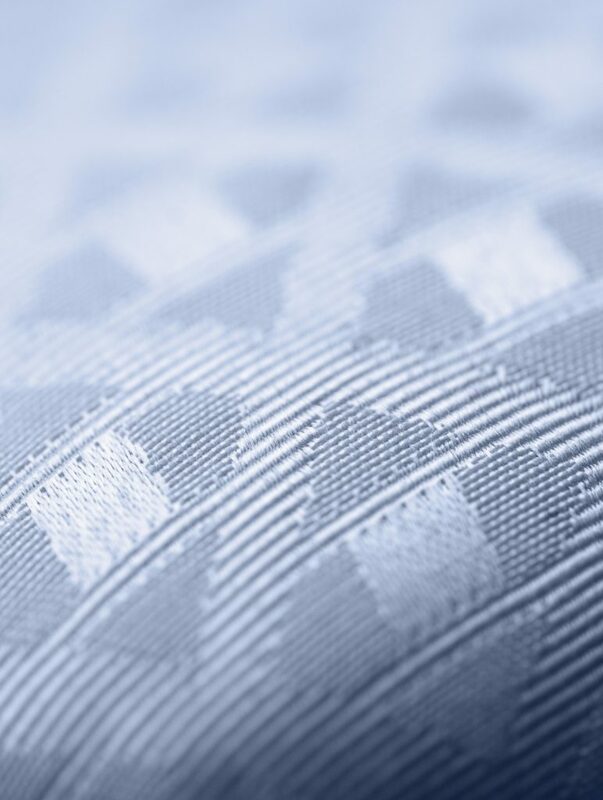 Check out our washes, there’s surely one that fits your budget! What in the world is Simoniz Hot Wax? The Simoniz Hot Wax & Shine is a waterfall of hot pure Carnauba Wax cascading down on your car delivering a hand wax quality finish and shine!! Regularly waxing your car will help it stay cleaner longer, protect it from minor scratches and provides UV protection. Simoniz Hot Wax & Shine offers all of these benefits plus the classic long-lasting Simoniz crystal-like shine. A traditional hand wax takes 30 minutes and costs, $40-50 but thanks to this revolutionary product your car can achieve the same result in 3 minutes at a fraction of the cost. The Simoniz Hot Wax & Shine are featured in our RVA and Ultimate washes.